Extending our successful brand, this time we’re taking our body-worn cameras Inside The Vets. 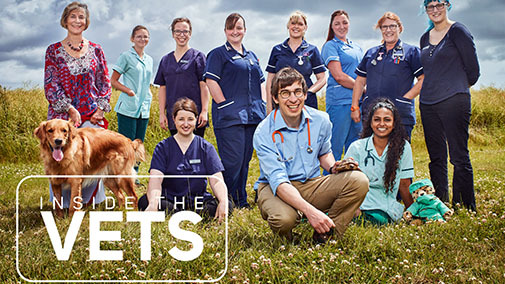 We’ll reveal the daily dramas of an extraordinary vet’s practice, where cats and dogs mingle with exotic reptiles and even rescued wildlife. Cameras will capture everything from consultations to operations, with a good dose of behind the scenes banter.